From an operational perspective, how does the Navy run network defense? While Fleet Cyber Command/10th Fleet has a role to play in coordinating network defense, there are many other players on a day-to-day cybersecurity level. Fleet Cyber has a tiered approach to cyber defense that encompasses several different organizations. Mills said Fleet Cyber is at the top, while in the middle they have a range of commands such as Naval Network Warfare Command (NETWARCOM) and Navy Cyber Defense Operations Command (NCDOC) — both of which are not part of the cyber mission force. If an incident occurs on the network, there are a variety of different scenarios that can unfold, Mills explained. Some could be so low level that NCDOC remotely handles it without the affected command even knowing it happened. Local site administrators might call NCDOC remotely for help, in which case NCDOC will provide guidance on how to handle the issue. If it can’t be handled that way, a Navy blue team could be deployed, which could be onboard the ship and, while they have expertise, are connected back to NCDOC. However, if it’s some adversary or action out of the control of those layered levels of support, then they would call a service-retained cyber protection team, which is a cyber “quick reaction force” that are part of the cyber mission force, but would be assigned to the task force commander to respond. More broadly speaking, the Navy’s approach to cyber for the last few years has been tracking toward a cyber resiliency as opposed to a cyber protection approach. The Navy must understand its cyber platforms as it understands other war-fighting platforms, Rear Adm. Nancy Norton, who most recently served as director of warfare integration for information warfare and deputy director for Navy cybersecurity, has said. “How do we really think of cyber and what is the Navy’s cyber platform? So, we very much understand what a ship platform looks like [be it] a submarine or an aircraft, what those platforms do and how we manage them, but we’ve not thought of the cyber platform in that same way as one of our war-fighting systems that we have to have an understanding of and how we control that,” Norton, who now serves as vice director of the Defense Information Systems Agency, said. 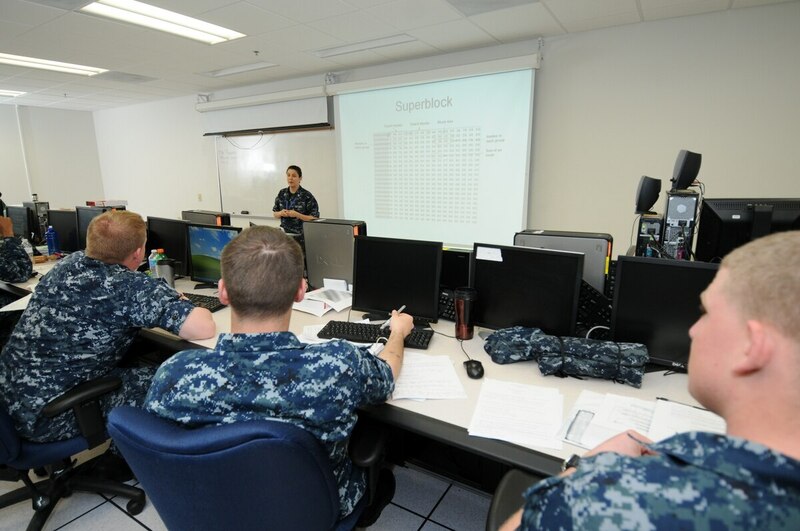 She explained that the Navy is taking a different approach to all of its platforms — not just standard IT systems — but control systems, security systems and ensuring better understanding of the network and its vulnerabilities. Additionally, the Navy is really thinking about cyber resiliency much more than cyber protection. How Navy forces react is the most important part, she said. How does it fight through any network events, can it maintain the ability to conduct its mission, and what does it need to do this as quickly as possible? The Space and Naval Warfare Systems Command also plays a major role in ensuring that communications and IT equipment is modernized, updated, installed and secure across the fleet. In addition to trying to streamline modernization and installation of IT systems, making systems more secure given the limited availability of ships, Lewis also described initiatives such as data center closures and helping to take the Navy to the Cloud. The series continues at What is the Army doing to secure and defend its cyber terrain?